Sean is going to be taking on a mostly editorial role but may also fill in on art and writing duties from time to time. This is a huge step for 5d as we have always been a very private and closed to the outside world type of operation. But when a talent like Sean comes along, you just don’t pass it up! He’ll be adding his expertise to our already horrifying body of work and elevating it to the next level. 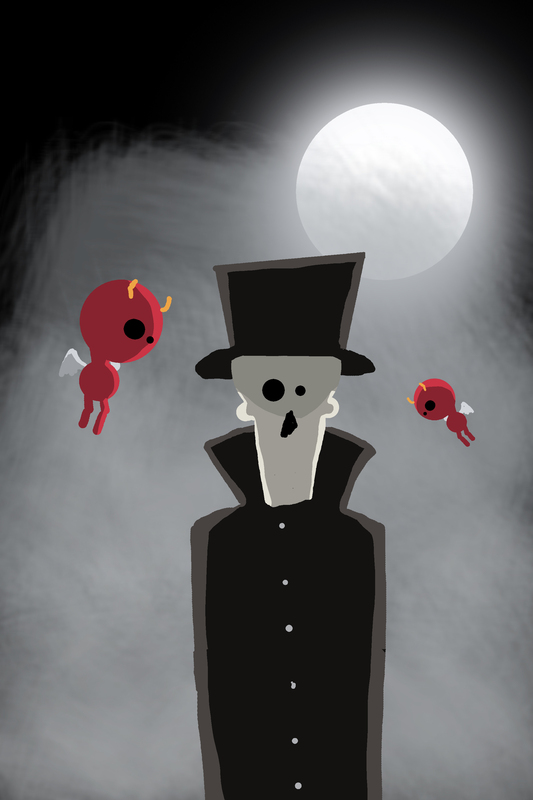 Mr. Fagan was kind enough to provide us with a little of his own art to share with you! 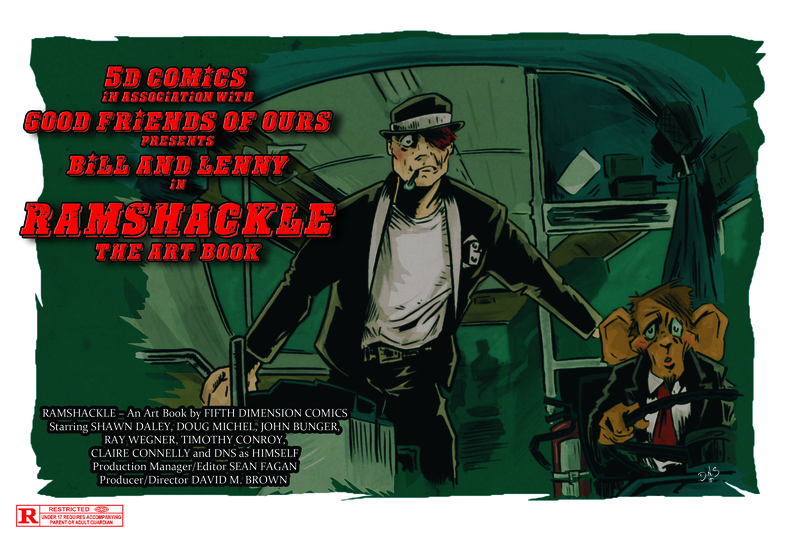 We are also pleased to announce that Sean’s first project at 5d Comics is project director of our incredible upcoming art presentation, RAMSHACKLE! More info on this book will reveal itself over the next few weeks so keep your eyes peeled for that. Until then, check out the movie poster promo image for the book! 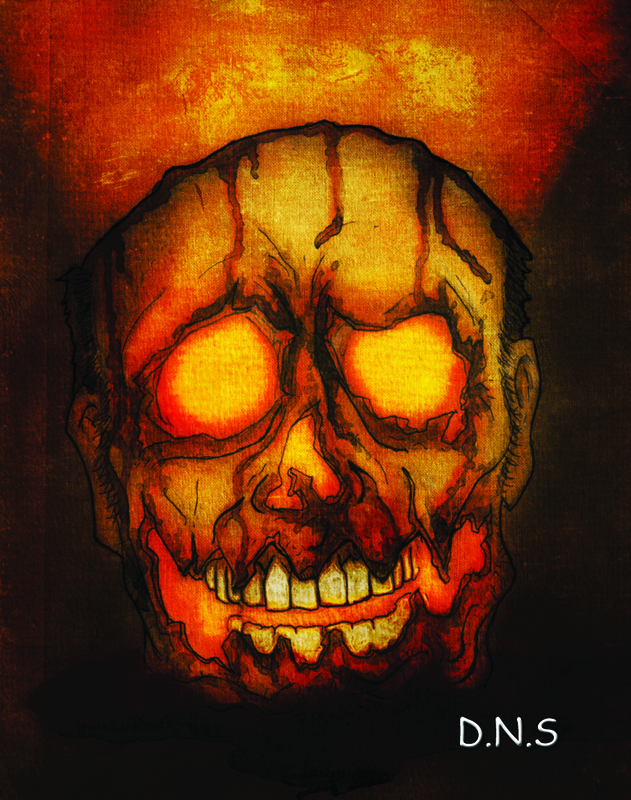 Obscura: Collected Edition Kickstarter is ALIVE! Just thought I’d let you all know that the ‘Obscura: Collected Edition’ Kickstarter is LIVE right now! Our campaign is currently 67% funded! I hope you’ll consider backing us and spreading the word, this is without a doubt the pinnacle of our work here at Fifth Dimension Comics. You will NOT REGRET it! Thank you for supporting independent comics!!! I am speaking, of course, of my collaboration with artist Shannon Gretzon, CHEWLER which is in it’s last days on Kickstarter right now https://www.kickstarter.com/projects/5dcomics/chewler! We approached Kickstarter with some reservations…first, Chewler is a niche book, no doubt. It’s becoming clear that people don’t like stuff that isn’t done in the Marvel “house style” and that’s fine. Secondly, it’s an odd duck of a book…it reminds us of a midnight movie in a way. It’s got glowing reviews and people who’ve read it, love it. But it’s never a mainstream success. Chewler is the Eraserhead of comics! So please, I beg you to give our Kickstarter a look before it’s too late. I’d love to share this book with the world but only people like you can make that happen! 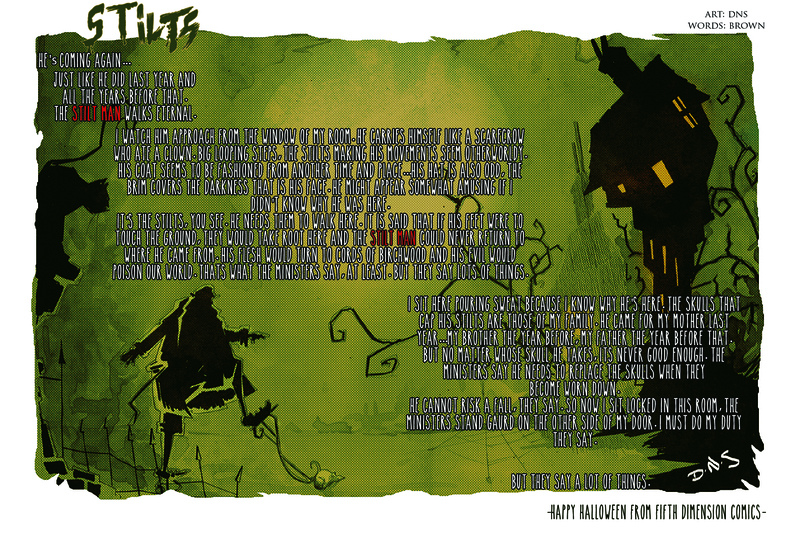 From everyone here at 5d Comics, have a great Halloween, Heathens! Hey everyone, did ya hear? The Kickstarter for our new graphic novel, Chewler is live! Go get some!! 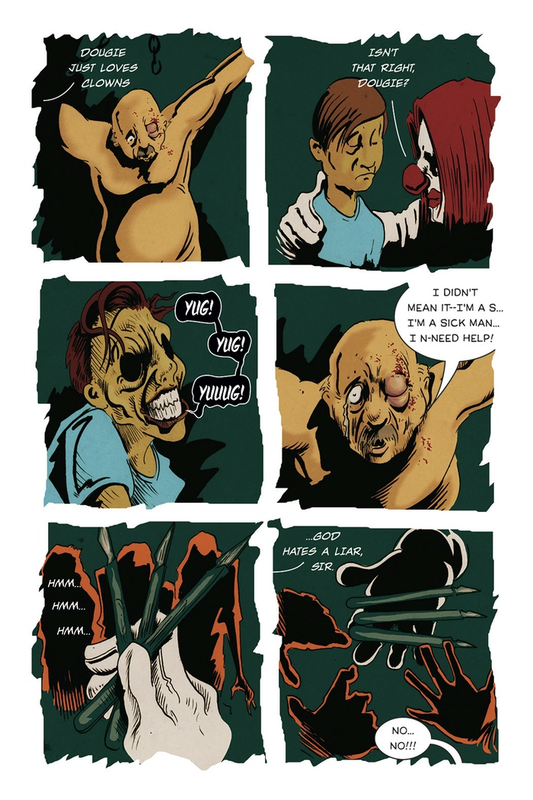 A while back, artist Shannon Gretzon (The Disgruntled Avenger, Completely Inaccurate) and myself (David M. Brown, ‘The Wisdom of Fools, Obscura’) decided to come together and create something that we both feel akin to…something odd…something insane. Half out of a dream and half out of imagination, ‘Chewler’ was born! 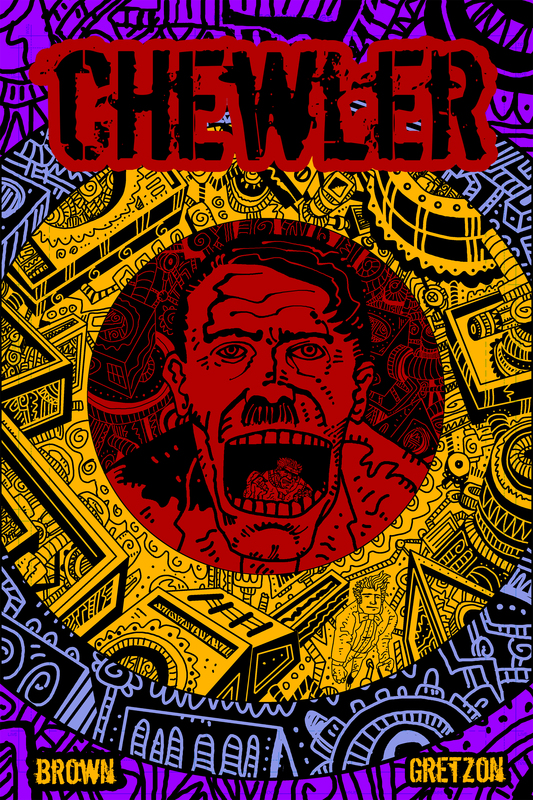 The Kickstarter for the graphic novel of ‘Chewler’ is just about ready to unleash itself upon an unsuspecting world! So if you’re in the mood for a balls out insane adventure involving clones, bots, tentacle monsters, skinheads, cats named Curly and a freeze dried Hitler, you’ll want to keep any eye on this very space. When the Kickstarter goes live, I’ll post up a link here!